Tanya Koob of "Family Adventures in the Canadian Rockies" recently posted a fun review of my memoir, Up: A Mother and Daughter's Peakbagging Adventure. Thanks for the lovely write-up, Tanya -- glad you enjoyed Up! The girls and I returned from Spain a month ago. 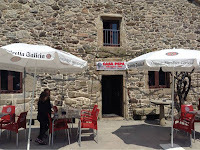 On May 2, the day after we removed our shells from our packs, I posted my Ten Truths of el Camino de Santiago. The Camino changed me, no doubt. Those truths resonate with me each and every day. However, it's not enough to allow feelings to bounce freely around one's psyche; one must put forth effort to transform those truths into actions. During our first week home, I realized it would take a lot of effort on my part to hold my truths close and make the recent positive changes permanent. My outlook on life, the way I live each and every day, and my level of physical fitness all require constant and thoughtful maintenance if I am to prevent lapsing into old and unhealthy patterns. I'll therefore post weekly updates on my efforts to stay true to my inner peregrina. I hope these posts will resonate not only with past and current long-distance trekkers, but with everyone who strives to better themselves. Today's post will regard physical fitness. Staying fit on the Camino wasn't a problem. Walking 10-20 miles each and every day does wonders for the body and mind; getting from Point A to Point B is all that's required -- no gym membership, daily weighing, or calorie-counting needed. One of the challenges of a post-Camino lifestyle is to maintain an advanced level of fitness. Like most of us, I have a fulltime and challenging job (homeschooling) and therefore don't have the time to walk 10-20 miles each and every day. However, I've been able to squeeze in two 10-mile hikes and five 60-minutes exercise sessions a week. There have been times when that exercise seemed ridiculous (midnight sessions of Wii's "Just Dance," five-mile roadwalks in the pouring rain, etc. ), but I feel good about having made fitness a priority. The girls do their own sixty-minute exercise sessions (they take karate twice a week, they go swimming once a week, we hike together once a week, etc.). Healthy eating goes hand-in-hand with exercise. I am not talking organic-everything, no alcohol, whole grains only, etc. That would be terribly boring and no fun whatsoever. I am talking balanced, homemade meals. Few, if any, prepackaged, chemically-laden foods. Locally-grown fruits and vegetables. Bread made from the local bakery. And...wine! I still drink two glasses of wine each and every day (the cheaper the better). I also eat chocolate whenever I want. I emphatically DO NOT count calories. So far, I'm the same weight and shape as I was when I first returned from the Camino. The kids look and feel great too. I think the daily exercise is key -- it's affected our appetites. We rarely want to eat anything our bodies aren't truly hungry for. There is no binging-on-chocolate-because-it's-there. Instead, we eat the chocolate only when we truly desire something sugary...and we usually only want a tiny bit of it. We feel strong and healthy. Our stamina has increased (we can hike longer and tougher trails, and we can hike them quickly). It's nice to be able to fit into smaller-sized clothes (for me...the girls are, of course, growing). My daily outlook is almost always positive (exercise is a mood booster). A commitment to daily exercise means grabbing those sixty minutes whenever I can. I therefore sometimes find myself doing Wii in the middle of the night or walking a busy highway while my kids are in their karate class. In other words, fitting in the exercise sometimes means working out in less-than-optimal conditions. My dog can no longer keep up with me. This means I now need to carry him the last few miles down the mountain, limit my choice of trails, or board him when I hike. I've done all three during the past four weeks. The pros obviously outweigh the cons, so I'll continue fitting in the exercise however I'm able. I can dodge highway traffic and I can walk in the pouring rain...I would like to eliminate the midnight Wii sessions, though. Sleep is important...and I'm not getting enough of it...but that's a topic for another post. Coming soon -- a Terrifying 25 trip report (we're hiking tomorrow), a review of ParaVival's paracord survival bracelet, and more news on our next long-distance fundraising hike. 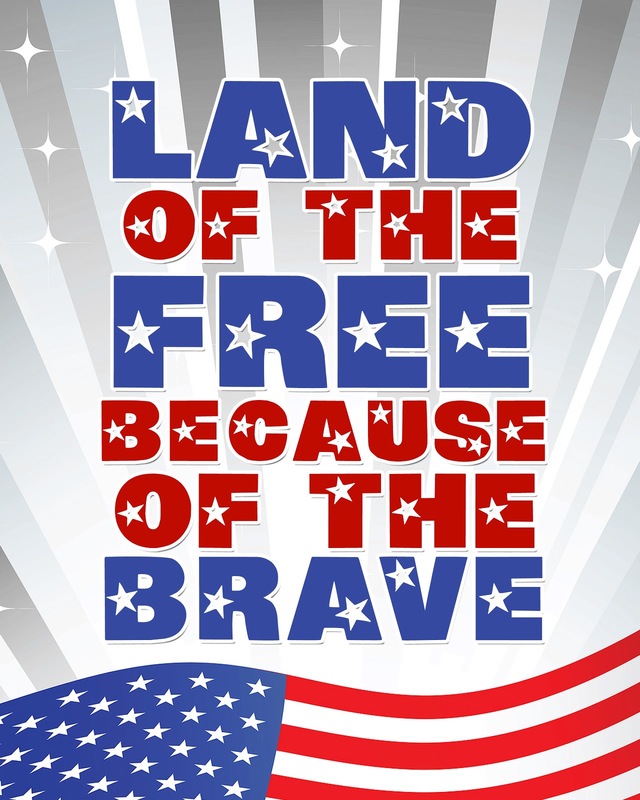 Happy Memorial Day, fellow Americans. 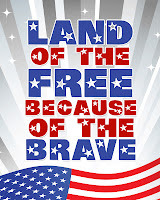 Make sure you take the time to honor those who have died in the name of our country. Thank you, Great-uncle Alan, our brave hero of World War I.
I hope everyone is enjoying the holiday weekend. I wanted to post a trip report of an awesome, breath-taking hike the girls and I accomplished this past week, but...that hike didn't happen. It rained (and snowed!) heavily for five straight days here in the Whites. Stream crossings became swollen and dangerous, and ice covered the higher rocks. Not exactly the best conditions to tackle granite ledges. In addition, I caught the 24-hour bug that's been going around (Alex and Sage are fine). 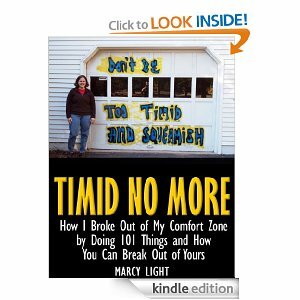 The forced break from trekking did have a silver lining, however; I got to finish the excellent e-book by Marcy Light, Timid No More. Marcy's the woman behind the inspirational site, (Don't Be) Too Timid and Squeamish. Timid No More is Light's account of her 101 Things in 1001 Days. 101 Things is a list of challenges the author made for herself; her goal was to break out of her comfort zone by accomplishing things she had always wanted to do (or, felt she should do), but, for whatever reason, hadn't. Light's list was inspired by Michael Green's Day Zero Project -- visit his site to join the online community of people "who love creating lists, setting challenges, and making positive changes in their lives." Light's 101 Things include both the bold and the mundane, therefore her account has a refreshing "everywoman" feel. Many of the items are endeavors most folks can probably tackle...though that's not to say any one of them is easy. For example, number 47, "Jump off a cliff," scares the bejeesus out of me...I'd need a few glasses of wine and a hardy shove to accomplish something like that. I also don't see myself getting a pedicure (number 60) anytime soon, since I don't like strange or sharp objects touching my toes. Most of the other items, however, are things I now want to do myself. Riding a mechanical bull (number 19) and getting a makeover (65) sound like fun. 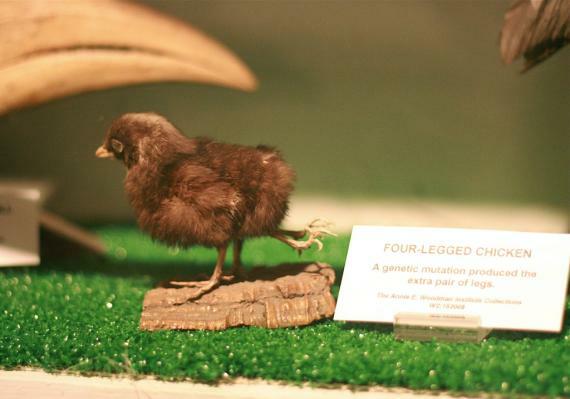 Visiting five Roadside America attractions (number 82) is right up my alley (I love visiting strange and offbeat places!). Attending a wine tasting (48)...well, YES, of course. And so on. Light's book does not include all her 101 Things, since she's still working on her list (follow her progress here). Only forty-five of her accomplishments are described -- but they're an excellent forty-five. Her piece on not complaining for an entire week had me riveted, as did her description of visiting the Parthenon. "Attend a UU church meeting" resonated with me, as I too am not a fan of organized religion (and I applaud Light's declaration of atheism...that was brave...it's not easy being a public agnostic or atheist in this country). I smiled at her experience in the Trash Museum, and her less-than-optimal performance in "World of Warcraft" made me laugh out loud. Light's an excellent writer. She's descriptive, witty, and to-the-point. Her text is punctuated with photographs and links to interesting websites (an advantage of the e-book format). Timid No More is a quick and entertaining read, and it'll inspire you to create and tackle your own list of interesting challenges. Where in the World Is Phil From Australia? afternoon rush at Casa Pepa. We first met Phil at the bar in Santa Marina. He sat outside drinking beer, waiting for Casa Pepa's hospitalero to bring him his meal. Dirty and tired peregrinos filled most of the seats and occupied all the other tables, so Alex asked the friendly-looking fellow if she and Sage could sit across from him and draw. He cheerfully introduced himself and assented, so the girls grabbed the establishment's only two remaining chairs and settled in. Our wet and handwashed clothes hung on a rack just around the corner, next to the entrance of our private room. While the girls sat and conversed with Phil (or, rather, while Alex sat and conversed with Phil...Sage is shy and rarely speaks to anyone other than her friends and family), I shuffled back and forth between the drying clothes and our night's habitacion. Later, Alex told me that Phil was from Australia ("and has the best accent") and that he had asked her to draw him a flying turtle. Alex had begun to oblige, using the watercolor pencils she carries with her everywhere she goes (even now, even back in los Estados Unidos), but we ran out of free time before she could finish. We had a strict bedtime of 8:00pm on the Camino; the secret to the girls' strength and stamina was eleven hours of sleep each night and a ton of food every day. Phil was there the next morning for breakfast, but he was entering the bar as we were leaving. We waved to him and went on our way. The next -- and last -- time we saw Phil was on the bus coming back from Fisterra. He had a happy, dreamy, contented look about him, as did most of the peregrinos. We had all just finished long, difficult journeys and we were each sitting in our own personal cloud of euphoria. Phil sat directly behind me and Sage (Alex took her own seat a few rows ahead). I asked him if he was flying out of Santiago that day or the next. "I have no idea where I'll be tomorrow," he answered. "I might take a train to Portugal, or I might take a cheap flight to Norway. Maybe I'll go to Germany." The dreamy expression on Phil's face increased as he smiled broadly. "I've don't have to be back in Australia until July. I think I'll just show up at the train station or airport tomorrow and get the cheapest ticket to Somewhere." I expressed my admiration for his sense of adventure and my jealousy of his freedom. That's the kind of life I want to have once the girls have left home. I want to spend months of my life traveling, meeting others, exploring the world. I want to show up at the airport one day and buy the cheapest ticket to Somewhere. An interesting section of Sweden's Kungsleden. We said goodbye to Phil at the bus station in Santiago. I've no idea where he went or where he is right now. I do know that Alex has finished his flying turtle picture and that we'd be happy to mail it to Australia. Phil, if you ever find this blog and read this post, drop me a line. Wanderlust. Freedom. Foreign lands and different cultures. Heaven. ﻿﻿My life right now couldn't be better, and I'm not complaining about my current state of affairs. I'm able to homeschool my children, and my kids' father is a good man who is extremely supportive of all the girls' endeavors. We have a strong, loving family and we're relatively healthy. We're not rich by any means, but we have enough money for the basics (we count pennies during the year so we can afford to travel). However, that sense of wanderlust is strong, and it pulls on me after a few consecutive seasons of staying in New Hampshire. We're not able to travel for months and months at a time right now, since the girls don't like being away from their friends, pets, and normal routines for more than six or so consecutive weeks. Also, Hugh can't afford to take that much time away from his students or laboratory. What we can do, however, is take month-long trips every year. Since we each enjoy the great outdoors and we each love to travel, overseas long-distance hiking (or, in Hugh's case, biking), makes perfect sense in terms of our interests and abilities. That takes care of the wanderlust...but what about avoiding a sense of entitlement? Responsible parenting includes instilling/maintaining a sense of humility in one's children. Both Alex and Sage have always been extremely humble and down-to-earth. They don't talk about their hiking or our memoir, Up: A Mother and Daughter's Peakbagging Adventure, unless directly asked. They can see, on their own, how foolish someone looks when they brag about their accomplishments; my kids have no desire or need to puff themselves up. Alex and Sage have good heads on their shoulders and I want to keep it that way (which is why I turned down an opportunity to have our family be the subject of a reality television show back in 2012, right before UP was published). Therefore, if our family is fortunate enough to be able to explore some of the world's most scenic trails, then we should use our opportunities and our abilities to do what we can for others. We should earn our right to travel, so to speak. Hence the fundraising. Every year, we will pick a long-distance trail and hike it for charity. 100% of the money raised will go to the nonprofit organization (and not to us). Just like our 2012-2013 efforts for Global Fund for Women and GirlVentures, Alex and Sage will take large and pivotal roles in the fundraising activities (they worked HARD for our GIRLS ON THE WAY Camino project -- they climbed all night at our Brooklyn Boulders climb-a-thon, they stood outside in the dead of winter at our raffle table, they drew posters, etc. and, of course, they hiked 540 miles). Hugh and I feel Alex and Sage should grow up doing what they love, but they should simultaneously find ways of being useful to others. I recently asked the followers of my Facebook Page to suggest destinations for next year's long-distance adventure. The result was a long list of incredible-looking trails (thanks, folks!). 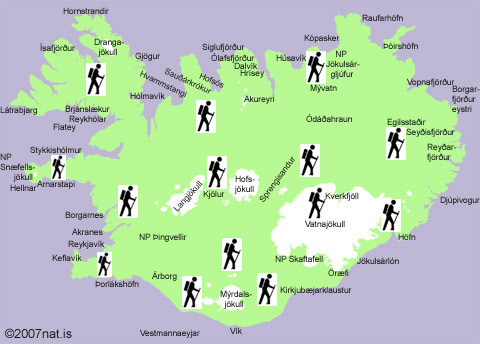 Hugh, the girls, and I have narrowed down the options -- right now, the strong contenders are Iceland (a variety of trails through and around the country), Kungsleden (Sweden, within the Arctic Circle), the Alta Vias (Alps), and the Via Francigena (from the Italian Alps to Rome). I know about the 88 Temples hike in Japan...and that is on our radar for the future. However, for next year, I want to keep the distance between 300 and 500 kilometers so we have the time and money to continue highpointing the USA. In addition to the fundraising hike next year, we want to summit Mt. Whitney in California, Kings Peak in Utah, and perhaps Borah Peak in Idaho. ﻿﻿So...thank you all for your suggestions regarding not only trails, but nonprofit organizations. We'll take another week or so to make a decision, then we'll set our wheels -- or rather, our hiking boots -- in motion. Phil, wherever you are, I hope you're having a blast. Buen Camino, peregrino. 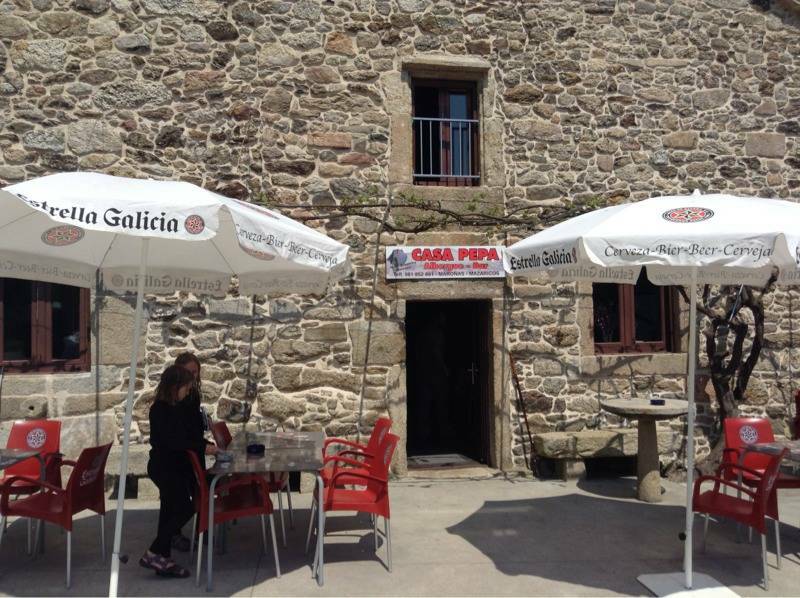 Our first post-Camino trip report! No ancient cathedrals, sheep, or vineyards today. We did, however, see a crumbling summit structure, a bear, and a moose. And, when I returned home, I saw (and drank) a large glass of wine. On Thursday, just to make sure the girls and I realized we were back in New England, the cosmos sent a bear to our front door. El Oso came right up to the glass, looked in at us, then turned and shuffled slowly past our cars and into the woods. We saw another bear on the way to Carter Ledge Trail yesterday morning. Five minutes later, we saw a moose. Alex joked that it was Large Mammal Parade Week here in the Whites. The girls and I had an excellent hike up Carter Ledge Trail to Middle Sister. We'd been dying to cross something off our Terrifying 25 list...since there's still rotting snow on the higher summits, we chose a T25 trail that led to one of the smaller peaks, Middle Sister (a 52 With a View mountain). We parked at White Ledge Campground and headed into the woods. It's been a long time since we've hiked through genuine forest! Ah...a typical New Hampshire trail. The ledges and small rock scrambles were fun and I never felt the girls were in danger. Well, almost. There were two spots that were "interesting." The first is pictured below. Both girls made it up and over the above without much difficulty. The next "interesting" ledge was extremely interesting. As in, "you've got my full and undivided attention" interesting. Alex is standing before it below. Notice how steep that slant is. What you don't see in the photo is that there's nothing at the bottom of that ledge...it's a drop-off. 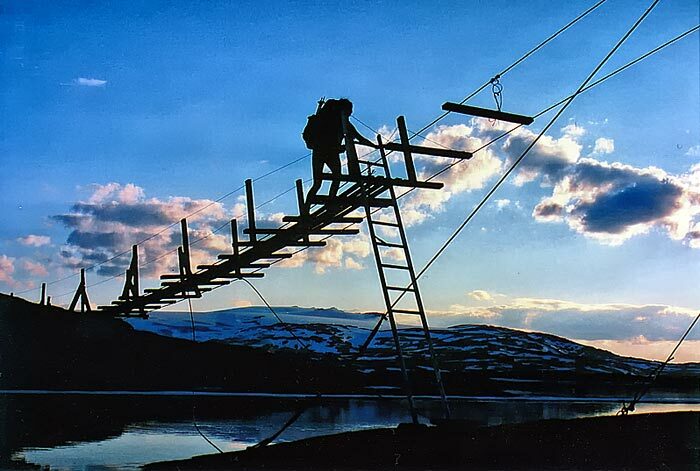 One has to pull oneself up and over that thing and get across it without one misstep. A hiker who falls here would likely experience a "negative outcome." Alex was up, over, and across it before I could say, "Please don't fall." Sage took her time getting up and over, but she moved quickly and confidently once she was on the ledge. 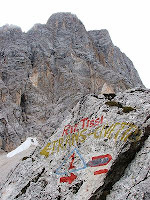 I willed myself up and belly-scraped my way across, my fingers never leaving the cracks near the top of the rock. This bit is the reason someone suggested I put this trail on our Terrifying 25 list...and that person is right -- that part is terrifying. For me, anyway. Alex and Sage didn't seem to think it was all that difficult. A few more easy scrambles, a few more (much friendlier) ledges, and we were at the top of Middle Sister. Little sister and big sister on Middle Sister. It's nice to be back in the Granite State! This was a stellar day. Perfect weather, perfect trail conditions, and a fun little series of scrambles. Doesn't get much better than this. Coming soon: We weigh our options for future long-distance hikes...your input would be appreciated, so please stay tuned. Ultreia! That is the pilgrim's mantra, and I am still a pilgrim. and they enjoyed near-constant views of Spain's natural landscapes. I documented our recent journey at GIRLS ON THE WAY. I encourage you to visit that site and peruse it at your leisure, for that pilgrimage has prompted me to change everything in my life...including this, our main blog, Trish, Alex, and Sage. From now on, there will be two blog entries each week (unless we're highpointing or hiking overseas...during those times, I'll post as often as I'm able). One post will be our usual White Mountain trip report. That entry will document the mountain hike or rock scramble the girls and I tackled that particular week. The other post will be of a more personal nature and will discuss my ongoing efforts to keep hold of those Ten Camino Truths. Book news, gear reviews, future expeditions, etc. will be announced within those two weekly blog posts and on my Facebook Page (Patricia Ellis Herr) and Twitter account (@PatriciaHerr). I believe this schedule will give me the time I need to successfully and happily juggle my parental and writing responsibilities. This means I will no longer keep a public account of our Thursday Things. Though the girls and I will continue to work on that list, I'm running out of writing time and will therefore not be able to blog our progress. 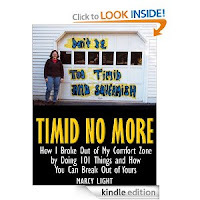 I highly encourage you to visit Marcy Light's site, (Don't Be) Too Timid and Squeamish -- or, better yet, buy her E-book, Timid No More. In Timid No More, Marcy writes about her own, original 101 Things in 1001 Days. Light's book is well-written and it has a great design; I enjoyed it immensely and I'll post a full review soon. I got out on my own for a little while today. It was heaven. The trail stretched ahead, leading me deep into the forest. New Hampshire's woods are so inviting! I love living here. Our family is trying to figure out what foreign trail to hike next. Whichever trail we choose, we'll hike it for charity. Stay tuned...I'll post the details as soon as we've made our final decision. Weekly trip report to come Thursday or Friday.